Cook pasta as package directs, rinse and drain. 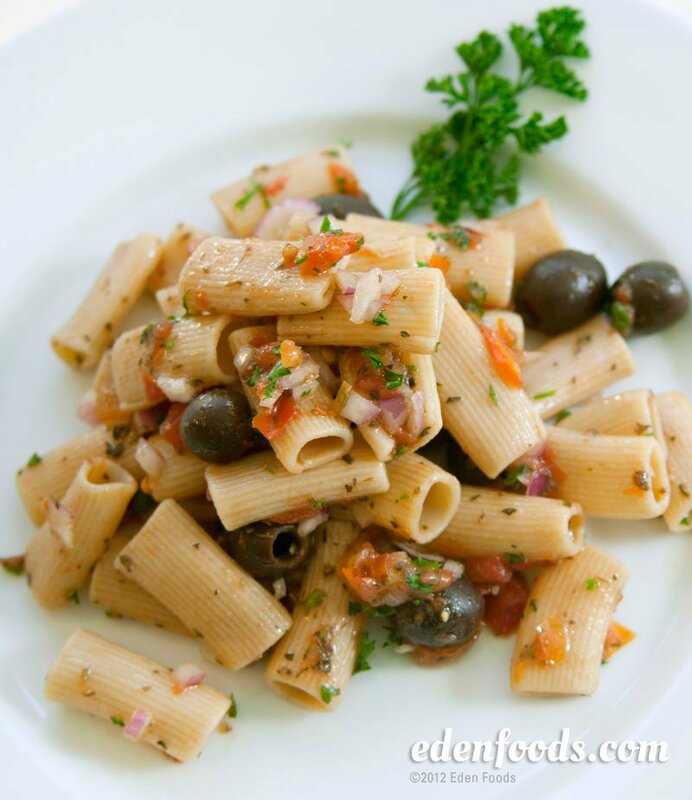 Add olives, tomatoes, onion, parsley or celery leaves. Mix. Prepare dressing by combining all ingredients. Mix dressing with pasta. For a hot salad, do not rinse pasta under cold water, simply drain after cooking. Proceed as above.